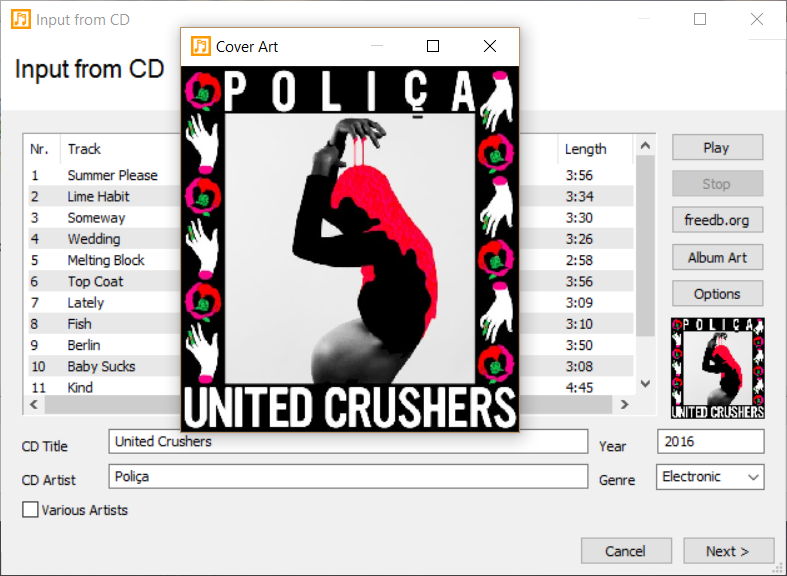 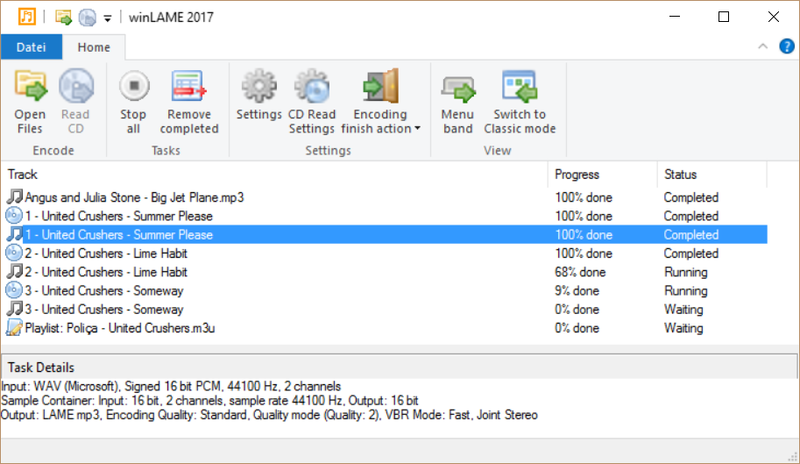 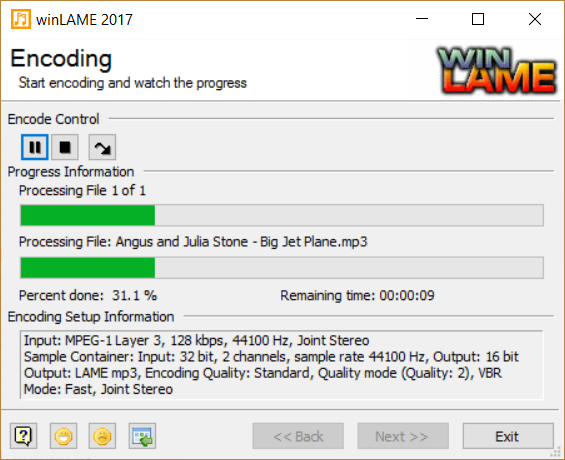 winLAME is an encoder for several audio formats, including mp3 (MPEG Layer 3), Ogg Vorbis and more. 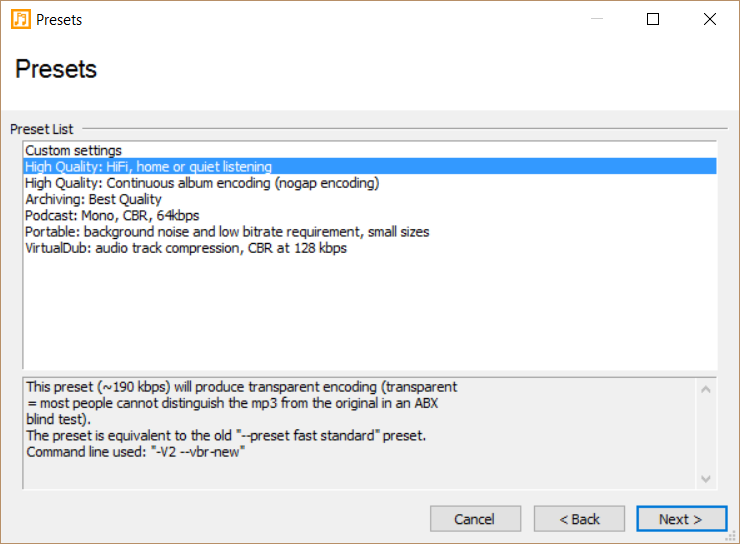 winLAME lets you set up the encoding process with an easy-to-use wizard-style user interface. 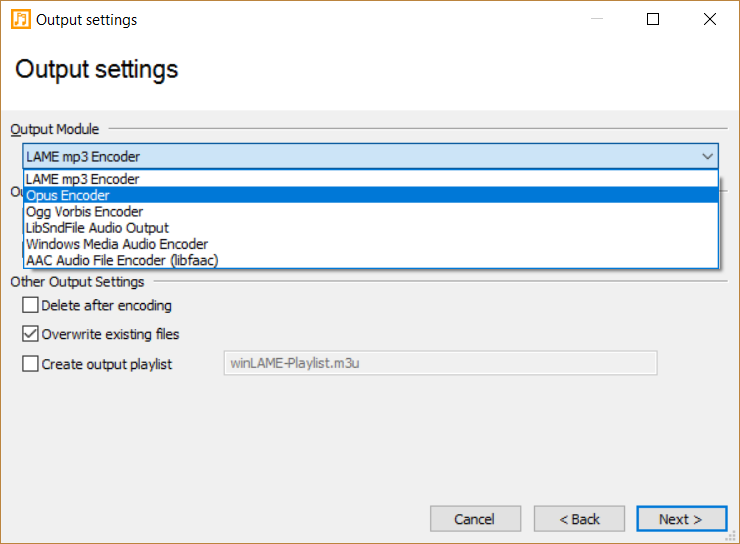 winLAME supports many input audio formats, and uses the LAME mp3 coding library for encoding and the MAD decoding library for decoding. 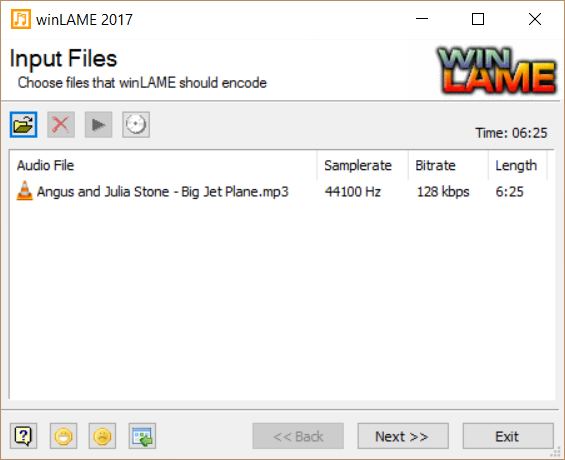 winLAME is distributed and licensed under the GNU General Public License (GPL).